As you can see, I don't have make-up on. Not only because it was right after I got up, but because sometimes I don't want make-up on...read below. *I was supposed to film my "gift guide for guys" video yesterday..but due to being sick, not able to breathe, and Jordan saying I sound awful...I wasn't able to. *I was going to stay up late last night, burn the midnight oil- to you an old phrase, and edit a "how to make a cakestand" blog...but that didn't happen due to me feeling awful, and kids waking up, because they felt awful too. one hint: one of these things turns old gift cards or credit cards into the coolest, rocktstar-status-coolest-things ever! Jordan said so. And for some reason, when I'm sick, the idea of putting makeup on my face feels gross and like it will make me feel more "stuffed up and hard to breathe", than I already am. Does anyone else feel like that? I know, I'm going to look bad from being sick, but the idea of putting make-up on when I'm sick just sounds... not good. Ok, off to go drink tons of water, take all my supplements, and whatever other healthy, homeopathic alternives I can take to kick this cold to the curb. 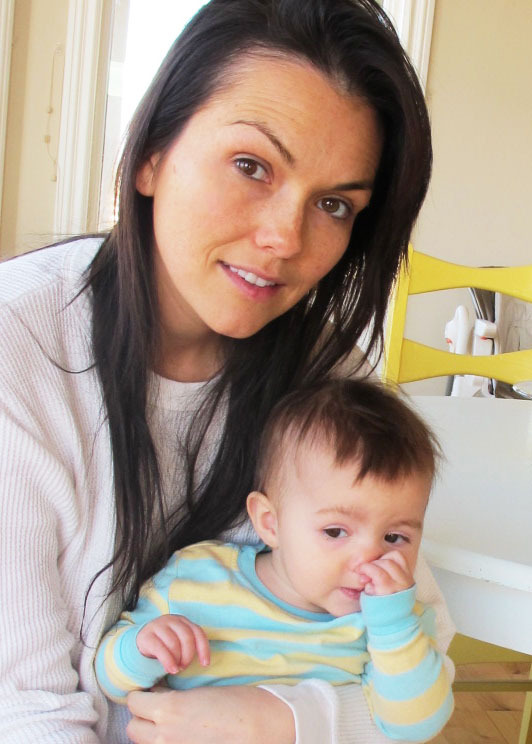 Kandee you look beautiful even sick and without makeup... Hope you get bwtter real soon! Watch something funny sometimes laughter can be the best medicine. Love Jen! I totally agree with no make-up while sick!! It feels icky! By the way feel better and you are still gorgeous without makeup on and your little cupcake is so adorable!!! Completely agree about the no makeup while being sick..i just like to cosy up with lose bagy clothes and do nothing when im sick. Oh my gosh girl i would pay to look like u with no make up and sick!! Girl i look like death without makeup!! Hope u feel better soon!! Hope you feel better soon because those videos sound super fun...and because we love ya and dont want ya to feel icky! BUT your still beautiful without the make up! Feel better soon! How about a DIY ugly Christmas Sweater tutorial! That would be awesome!!!!!! I totally understand that! Plus when I'm sick I usually don't feel pretty in any way- even with makeup. Also, if you apply makeup, how can you go back to bed to get that much needed, healing sleep? :) hope you feel better soon Kandee!